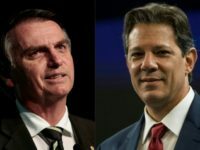 Brazilian presidential candidate Fernando Haddad of the socialist Workers’ Party (PT) said in an interview Monday that that “probably, yes” there were political allies of his who illegally used campaign funds while in office, once again forced to discuss allegations of widespread corruption within the PT. 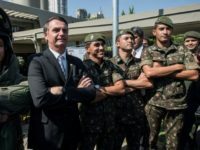 Brazil’s House of Representatives will soon feature over double the number of representatives with military experience than it did before Sunday’s election. 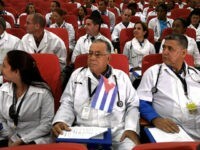 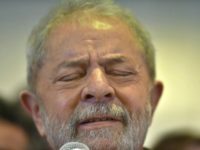 According to a tally by Folha de Sao Paulo, 22 members of the lower chamber are either veterans or retired military personnel. 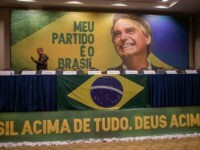 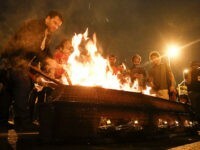 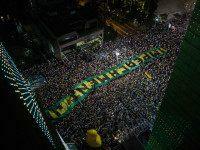 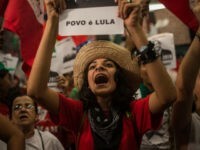 Many of Brazil’s youth are turning towards conservatism amid multiple corruption scandals and economic decline under leftist rule. 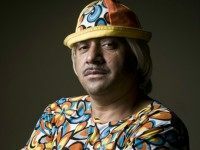 Francisco Everardo Oliveira Silva, better known as the acclaimed Brazilian clown “Tiririca” (Grumpy), returned to the stage in the nation’s capital this week for a one-man show loosely based on his life. 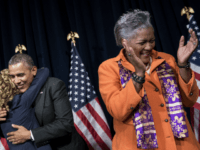 The event marks a return to the stage for the clown after seven years in the nation’s congress. 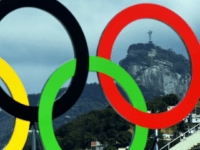 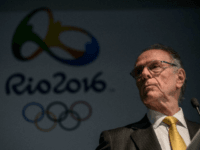 Brazil arrested the head of the Brazilian Olympic Committee (COB), Carlos Arthur Nuzman, and his right-hand man Leonardo Gryner on Thursday after a corruption probe found evidence the COB paid $2 million to secure a vote in favor of Rio de Janeiro hosting the 2016 Summer Olympics. 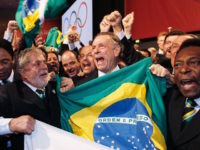 Brazilian prosecutors have uncovered a sprawling corruption scheme following a raid on the home of Brazilian Olympic Committee President Carlos Nuzman, presenting mounting evidence that Brazil bought its way through the International Olympic Committee’s (IOC) voters to secure the 2016 Rio de Janeiro Summer Games. 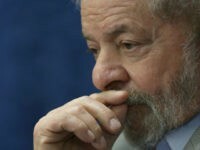 A Brazilian judge has sentenced former socialist Workers’ Party (PT) president Luiz Inácio Lula da Silva of Brazil to nine and half years in prison on charges of corruption and money laundering. 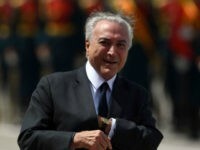 Nearly a year after Brazil impeached its most-recent president, Dilma Rousseff, prosecutors have charged her successor, Michel Temer, with taking a $152,000 bribe as part of a larger corruption scandal involving a large meatpacking corporation. 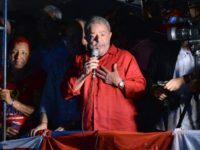 The group whose founder called “the most important leftist party in Latin America” suffered a tremendous electoral collapse on Sunday. 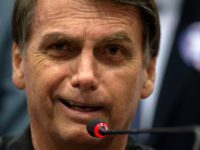 Brazil’s Workers’ Party (PT) is now in charge of the mayorship of only one of the nation’s regional capitals, losing even its home city of Sao Paulo. 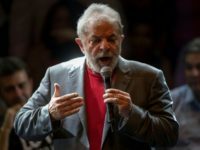 Federal prosecutors have charged former Brazilian president and potential 2018 presidential contender Luiz Inácio Lula da Silva with being the “boss” of a multi-million-dollar corruption scheme operating out of state-run oil corporation Petrobras. 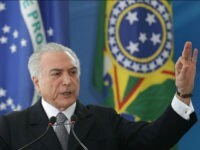 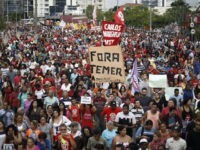 President Michel Temer, currently in China for the G-20 summit, has dismissed protests across Brazil demanding he step down as “minimal” and “natural” following the process that successfully removed his socialist predecessor, Dilma Rousseff, from power. 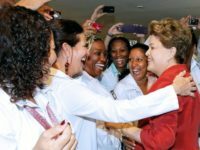 The Brazilian Senate officially impeached socialist Workers’ Party president Dilma Rousseff Wednesday, removing her from power permanently over a host of fiscal misrepresentations that severely damaged the nation’s economy. 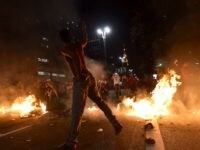 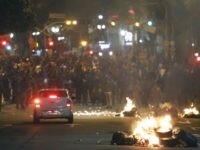 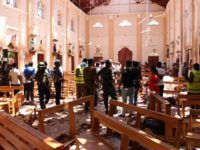 Even before the vote to oust her, however, an international coalition of leftist groups have been staging violent protests and attacking police nationwide. 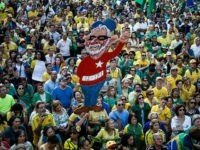 Brazil’s federal Supreme Court has opened an investigation into former Brazilian presidents Dilma Rousseff and Luiz Inácio Lula da Silva, both of the socialist Workers’ Party (PT), for potential obstruction of justice in the sprawling “Operation Car War” corruption probe. 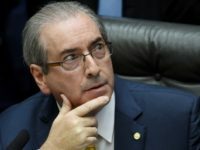 (Reuters) Brazil’s congressional ethics committee voted to strip suspended Speaker Eduardo Cunha of his seat on Tuesday for allegedly lying about undeclared Swiss bank accounts, the latest in a series of political earthquakes to rock Latin America’s largest country. 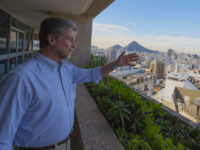 Rio de Janeiro (AFP) – He surfs, dances in carnivals and can sound more revolutionary than royal, but Prince Dom Joao de Orleans e Braganca is serious about restoring the monarchy to save Brazil.